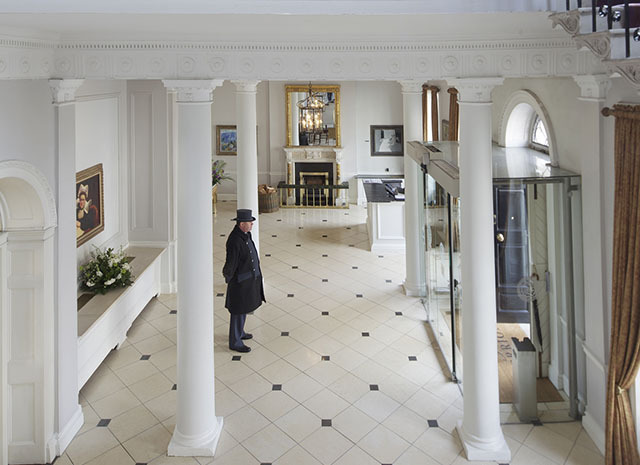 Located in the heart of Georgian Dublin, the ultra-luxury Merrion is an elegant, art-filled 143-room hotel hidden behind a series of 18th-century facades. The hotel features an elegant garden, brasserie, bar and the Restaurant Patrick Guilbaud, the only Michelin two-star restaurant in Ireland. The Merrion’s collection of art and antiques is second only in Dublin to the city’s National Gallery of Ireland.